Since last week, I have been receiving samples with “red” aphids to get the identification. It turned out that this time, most of these ‘reddish' aphids were identified as the lettuce aphid, Nasonovia ribis-nigri (Fig. 1). To me, they look more red-orange; however, their distinct black marks on the abdomen and short cauda (finger-like, short appendage at the end of the abdomen) are some key ID features. 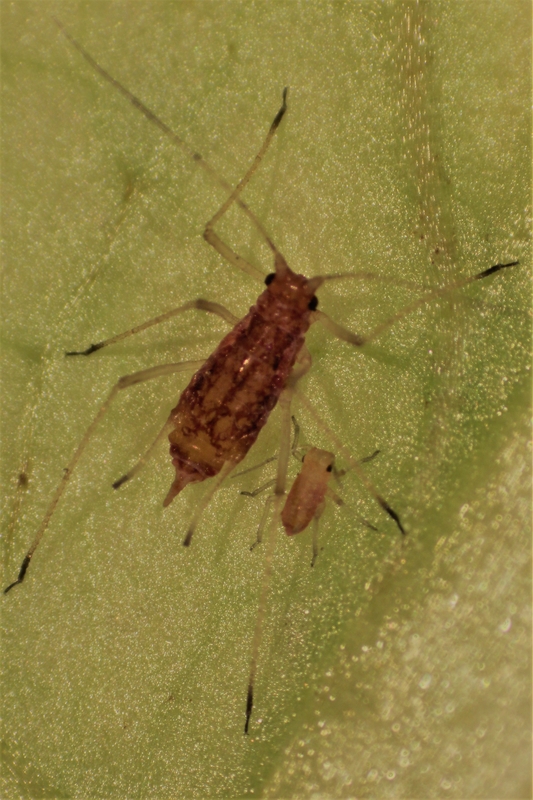 These features help to differentiate the lettuce aphid from the other “red” aphid, the potato aphid Macrosiphum euphorbiae (Fig. 2). Yes, we do have two different species of red aphids! More samples for aphid ID are still coming into the UC Cooperative Extension office. The pattern is still similar to last week. There are mostly lettuce aphids on the submitted samples. I was also able to notice that some samples have mixed populations between the lettuce and the potato aphids, where all the specimens were red. We have several trial locations where we are scouting for aphids. So far, fields in Soledad have the largest number of aphids documented, as both alates (with wings, collected from yellow sticky cards) and wingless (collected from lettuce samples). 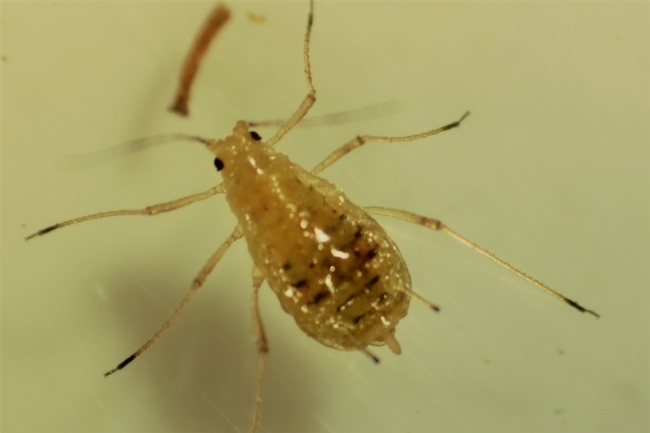 If you need further information about the other scouting locations, or would like to double check your aphid ID, please contact or send samples to Alejandro Del-Pozo (adelpozo@ucanr.edu, 831-759-7359).